I want to share more information about Odisha and her treasures. 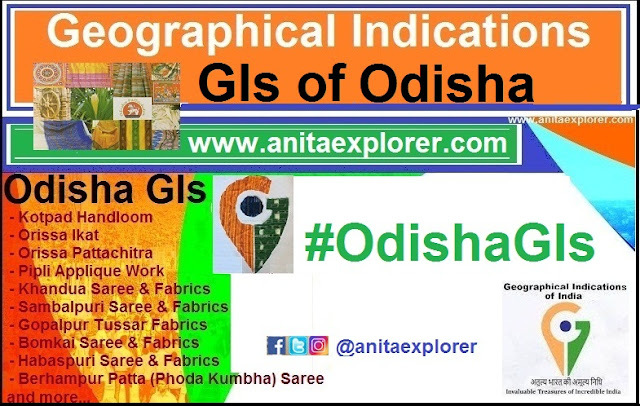 Blogs are a great way to share information and images about Geographical Indications (GIs) of Odisha and raise awareness. Presently, many are ignorant about GIs. This includes the artisans and weavers whose income can be enhanced by GIs. Odisha has got 14 GIs and 2 more applications are under process. As knowledge is power, the objective is to share GI knowledge and empower. I will be sharing blog posts with info about the various #OdishaGIs. I want to inform and inspire the artisans to register for GI as Registered Proprietors or Authorised Users (AUs) and earn better. Presently, as people are so ignorant about GIs, it will be success for me if they learn at least something about #OdishaGIs through my posts. Social awareness, action and transformation is my aim. Ministry of Commerce & Industry organized an Exhibition of Geographical Indications at the GI Pavilion at the India International Trade Fair (IITF) at New Delhi in Nov 2018. I represented Odisha GIs at the GI Pavilion at IITF. You can read more about the #OdishaGIs here. This is a very good intiative to spread awareness about the GIs of Odisha. Hope more artisans would come forward to be registered as Authorised Users. More power to you, Anita!